Wishpond is proud to publish this high-impact piece from KlientBoost CEO and digital marketing thought leader Johnathan Dane. What does 2018 hold for marketers and advertisers? As marketers, we’ve seen changes and technologies that potentially terrify us, but also make our jobs exponentially more cool. You’ll notice a common thread in the four trends in this article: they all involve being more human with our audience. Let’s look at what each trend involves and how you can get the most out of them. Machine learning is on the rise, and not in a way that involves robots taking over the planet. Before we get into details and examples, let’s first look at what machine learning is. At its core, machine learning a process in which a machine learns from data and is enabled to grow, change, and develop by itself. Essentially, instead of being programmed to do something, the machine uses data to do it themselves. It’s a subset of artificial intelligence, which assumes that machines can undertake a task equally well or even better than a human would. Machine learning has already made an impact in areas such as credit risk assessment, fraud detection, money laundering protecting, and even healthcare, but we’re here to talk about marketing, so let’s look at the role of machine learning in growing your business online. Simply put, machine learning takes huge sets of data (including trends and patterns) and finds pieces of predictive knowledge you can use to tackle marketing challenges. SEO: It all started with RankBrain, Google’s machine learning system that’s used to help process its search results, which is now a part of Google’s search algorithm. PPC: Machine learning in PPC includes features like AdWords Smart Bidding and Smart Display campaigns, which have the potential to increase conversions by learning from collected performance and traffic data and acting based on those learnings. Content and Email Marketing: Machine learning tools can help you get more reach for your content based on audience segments (like with Atomic Reach) and send tailored emails based on buying behaviors. Lead Generation: Predictive analytics from machine learning can translate into predictive lead scoring, identifying prospects similar to existing customers, and segmenting leads for personalized messaging. The key here is to remember that machine learning won’t make our jobs as marketers obsolete — it will make them easier. When you can react quickly and accurately to shifts in customer behavior, you gain competitive advantage. Salesforce has built Einstein: their suite of products that use machine learning and artificial intelligence to help marketers (among others) do their job better. This includes product recommendations based on customer behavior, engagement prediction, image recognition on social media, and deep insights into customer journeys. The rising adoption of marketing automation isn’t a new thing: it increased 11 times from 2011 to 2014, and two thirds of marketing leaders currently use a marketing automation platform. Another 21% of them plan to use it over the next two years. To understand why marketing automation is so hot right now, let’s distill its concept. While marketing automation can be used for many different things, it is essentially the process of automating repetitive marketing processes using a variety of tools and services. Because of its name, it’s easy to perceive it as hands-off marketing on autopilot, but its purpose is almost exactly the opposite: it helps marketers create a personalized experience for their audience and nurture those relationships, minus the time-consuming tasks. And right now - and as we continue through 2018 — tailored online experiences between your business and your customer are more important than ever. In a world of so much virtual noise (we’re faced with up to 10,000 brand messages a day), a personalized interaction with a company is a breath of fresh air. And think about this: 66% of consumers say they are extremely or somewhat likely to switch brands if they feel treated like a number rather than an individual. I’m not sure there’s a business out there that can afford to lose two thirds of their customer base. You can segment leads based on the web form they used to sign up to your email list. 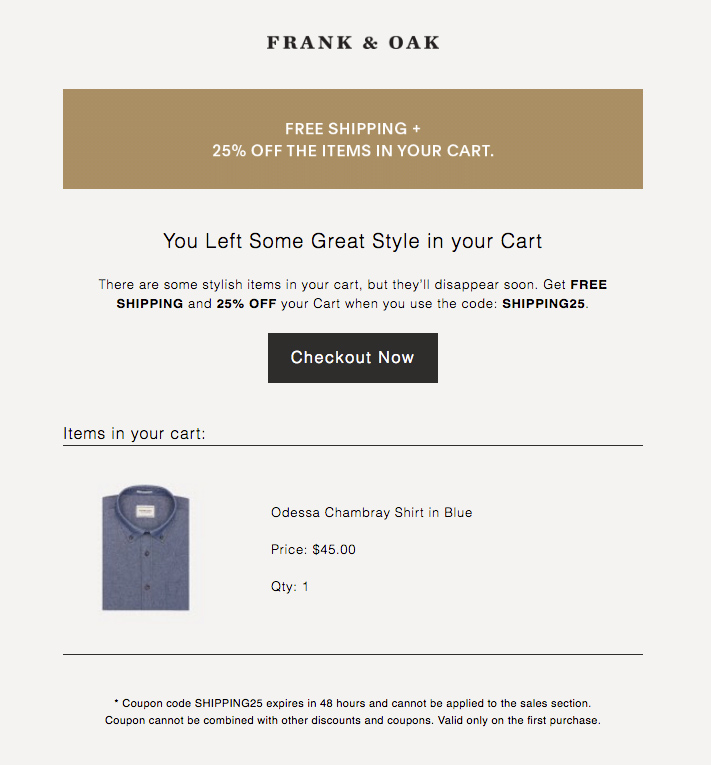 You can nurture leads and retain customers with personalized emails tailored to their activities such as opens and clicks. You can follow up with leads at the best time to maximize conversions. It all comes down to making your communication feel like a conversation and providing a seamless experience for each of your potential and existing customers. Marketing automation makes it easy, because it doesn’t rely on a linear customer journey but a unique set of actions each person takes. One of the best ways to show you want to buy something is adding items to your cart. So, when that cart is abandoned while still full, marketing automation allows you to react quickly and take action to encourage the visitor to complete the purchase. Another option in this case would be a personalized message from a customer support representative to find out why the cart abandoned in the first place. 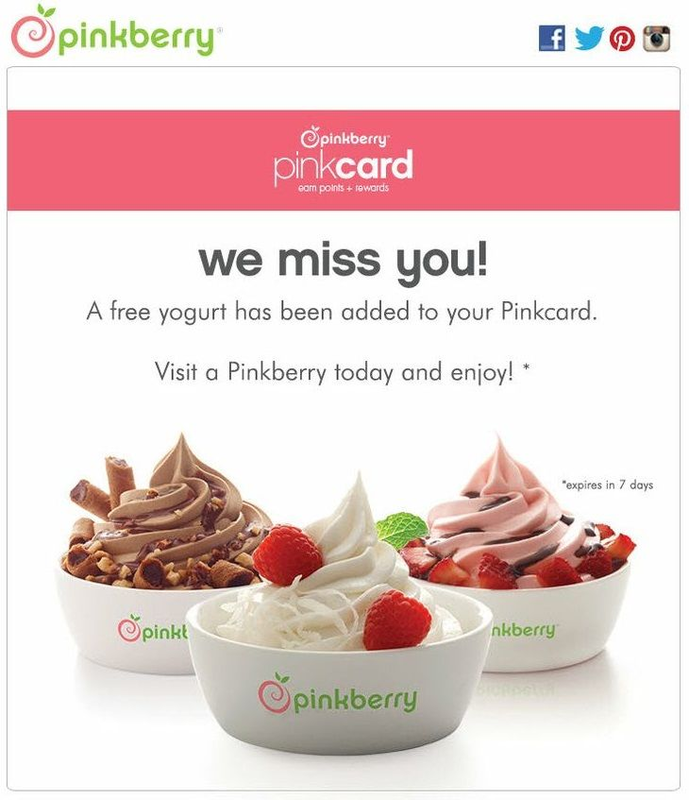 Free yogurt in the next week? Sold. As you can see, marketing automation works well, because it’s not just another mass email—it’s tailored to each recipient and their behavior. If you want more inspiration, check out these five lead nurturing ideas. Conversion rate optimization has been around for over a decade now—hardly a trend. While over 65% of marketers report annual improvements in conversion rates due to CRO efforts, same research shows that they are increasingly dissatisfied with their conversion rates. Conversion rate optimization may have a hard time to keep the priority in marketing teams, because of newly emerging channels and disciplines. But with around half of marketers still claiming it’s crucial to their overall strategy, I believe it’s simply a matter of upskilling on CRO methodologies, tests, and tools, and adapting their landing pages to the evolving customer behaviors and expectations. So, what is it you need to prepare for in 2018 and beyond when it comes to CRO to get better results? Split testing is more important than ever. The study I referenced above reports that conversion rates improve with higher frequency and complexity of tests, but getting the groundwork done is the key to run multiple tests on a monthly basis. You need better data. The more complex your tests, the more improvement your conversion rate will see. But to make that happen, you need a lot of high quality data, so it’s worth investing your time into understanding the tools that will help you collect it. Minimalism works. You don’t need every single piece of information on your landing page—you just need enough to entice the visitor to take the action you want them to. Look for portions of your landing page that can be removed without sacrificing the quality of information on it. Cross-device optimization will make or break your conversion rate. Every device has its nuances when it comes to what your visitors will see, and what they expect to see. If those two don’t match up, your visitor will bounce. 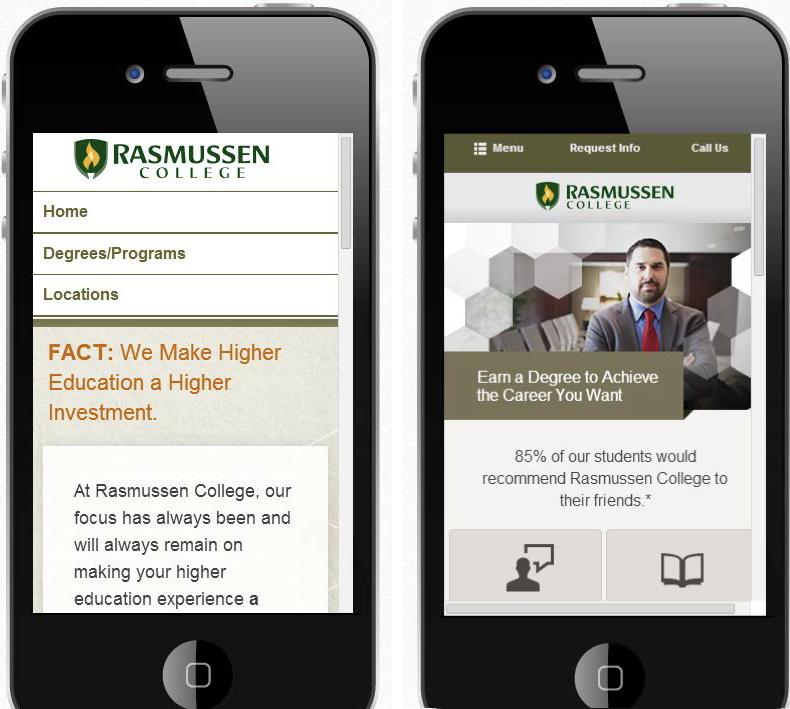 Rasmussen College was looking to increase leads from PPC traffic on their mobile site. They tested a standalone mobile site against a new responsive site that selected content based on the search keyword. The responsive site won by increasing leads from PPC traffic by 256%. 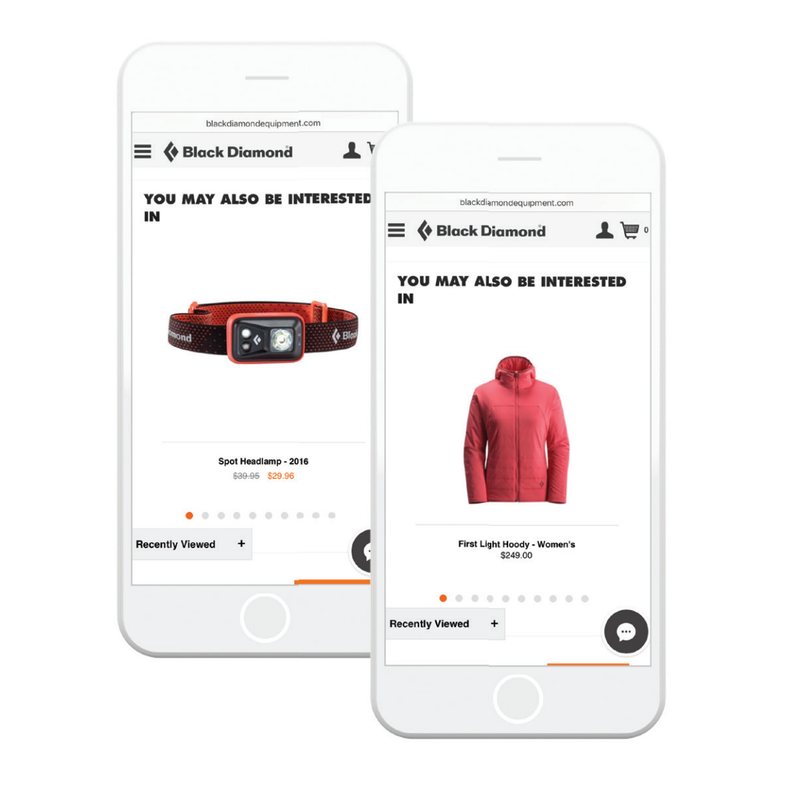 It had an advantage of using keyword data to personalize the experience of the visitor, and the team believed that eliminating extra steps caused by navigation also helped. Notice how simple the winning variation is, and that the losing one looks great and more modern with the hero image and iconography. It’s a great example of usability and personalization taking a priority over a design that’s just pretty. With over 2 million blog posts published every day, it may seem a bit silly and redundant to talk about content marketing as a trend in 2018. The downside to it: it’s getting harder to stand out compared to years ago when content marketing first became a thing. The upside: companies are now forced to commit to do content marketing better. Firstly, we'll be developing a more strategic approach to overall content marketing. The latest research from Content Marketing Institute shows year after year that B2B companies with a documented content marketing strategy report higher success of their content marketing strategy compared to those with a verbal strategy only, or no strategy at all. Not surprisingly, same research confirmed that 75% of those that don’t have a strategy look to develop one over the next year. When your content marketing is guided by goals defined by your strategy, and your strategy is driven by your audience, great stuff happens. Essentially, your content marketing strategy should’ve been in place yesterday. If that’s not the case, the next best time is now. The second part of this content marketing evolution is the fact that there is no more marketing without content marketing. As I mentioned earlier, the journey our customer goes through before he or she converts is more complicated than ever. Your job is to help them move between channels seamlessly. 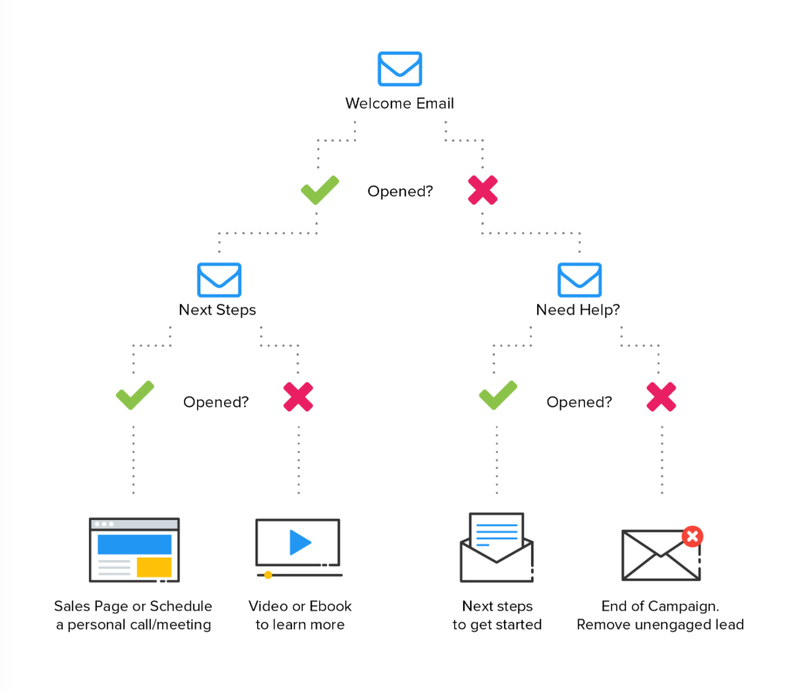 No customer has ever said “I want to see omnichannel marketing,” but they definitely want the same cohesive feeling every time they interact with you. To add to that, more touchpoints seem to convert better and more frequently, so you can’t miss these chances to deliver your best content every time and build trust from your audience. One of the most coherent content marketing strategies out there is the one from Monster Career Advice. Focused on helping job seekers advance their careers and increase their job satisfaction, Monster definitely took the strategic, omnipresent approach to their content. The results included almost 100 million page views in a year, more than half a million video views, a 65% conversion rate on the Monster 100 list, and, most importantly, more humanity to the job-seeking process. Video keeps on taking a larger chunk of the overall internet traffic year after year, with predictions going up to 82% in year 2021. Following the similar thread from all the trends we already mentioned, people simply resonate and identify with video better than with any other content. When we watch a video, we feel like we’re sitting down for a chat with the person on the screen. It fosters relationships and creates an emotional connection. So, it’s not a surprise that research from Aberdeen has shown that video increases marketing qualified leads, marketing’s contribution revenue, and growth in brand awareness year-over-year. And these videos can improve any piece of your online real estate a potential customer based on the appropriate stage of the journey, including your landing pages, blog posts, and social media - the options are endless. This is a great strategy to get personal and specific about questions your audience may have at each stage of their journey. As we move forward, we’ll use more tools and automations than ever before. It’s the reality. At the same time, our visitors, listeners, viewers and customers need us to be more personal with them than ever before, so the only right way to use that technology is to make those connections happen. What are all the potential touchpoints your customer will go through before converting? Is there content in place for each of those touchpoints to make the journey coherent for your customer? Are there actions you can automate? Are there touchpoints you can personalize with marketing automation? Identify areas with room for improvement, and create an action plan for each of these trends. This way, your audience will have a great experience every time they run into you, and you’ll be ready for whatever comes next. 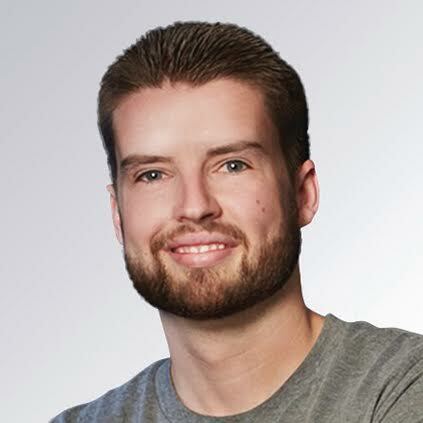 Johnathan Dane is the Founder of KlientBoost, a PPC agency focusing on CRO and aggressive testing. He has grown two separate agencies to more than $5M in annual revenue in less than three years.